Social media advertising is a no-brainer of today. It is simple and easy to use. Almost all platforms offer a way of advertising at the cheap rate and the service is user-friendly. Meaning you do not have to be an IT genius or understand coding to put your product out on offer. To push it into the masses, so to speak. TIP 1: Use advertising to your advantage. Target the right audience. Be very specific during your selection phase. Think who can realistically buy your product. Quality over quantity here. There will be thousands of freelancers there as well as hundreds of advertising companies but only a few will offer a quality service. Most of those are simply charging you for managing the simple platform-based social-media advertising which you can do yourself just as well as they can. In my working life, I only came across 3 quality advertising companies which I used for my own business who really made an impact with a push of a seasonal product I had on offer. TIP 2: Don’t fall for cheap promises. “Not every shiny coin is silver”. Ensure value for money and hold accountable third parties you hire. Read the agreement small print. Most of the advertising can be done on a relatively cheap budget and achieve significant results. I am personally using a lot of Facebook and NextDoor advertising features which are only costing me pennies in comparison to my other allocations in the budget. We are talking about £4 per day to reach 4000 people in the area of 20miles radius of your business. If you are national or your service is a product which can be sold all across the globe you are talking £4 for way more engagements then 4000 with the potential of turning some leads into regular customers. TIP 3: You sure want to spin the interest around your product and ensure your stuff gets seen but think on whether you want appreciation or profit? Skillfully target those with a potential to buy your product and stay as your regulars. Obviously, your advertising budget will be above £4 and might run into hundreds over the course of the year – but don’t get carried away. Always ensure that there is a value in advertising for you. You can spend thousands and get nothing and spend under a hundred and get noticed. 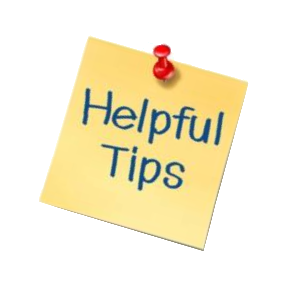 TIP 4: Use pictures in your adverts, avoid masses of text. Use colour. Highlight the important bits in your message. Focus on the strongest sides of the product you are offering. Deliver the unique message. I am able to reach thousands of people within hours and stimulate interest in the new product I have on offer or the service recently introduced to my store. People might not care, and in fact, they will not. Be real and do not expect that customers/clients are there waiting for you to post about something new and attractive. Customers are vicious and spoiled. They will happily smile at your product and say to themselves: “Oh I quite like it” and the second later forget about what he/she saw. The sad truth is in the volume of advertising out there available out there. Being the best and standing out will not come without a fight. You will almost have to deserve the trust of the viewer. Just being there does not make you loved or cherished. You are essentially only a small particle of a wide market, so your job is to ensure that you are watched, listened to, read about and followed. Make sure that your adverts are attractive and worth your customers time. (I have learned it the hard way). TIP 6: Add videos. Add some motion. People will scroll through static images, especially the images which are not funny, not exotic or with too much text on them. People are more likely to hold for a second and watch your short video or get hooked by the motion GIF explaining your product. There are hundreds of guides and lessons available on how to make your advert stand out and what type of font you have to use and the colours and the size of pictures within, etc etc etc – so I will not bore you to death with the detail. Just Google it and it comes out in thousands of versions and formats. My only opinion is that there is no silver bullet when it comes down to advertising. Companies all across the Globe are spending millions on market researchers, analysts and advertisement specialists who live, breath and dream the thought of “how to make my client product stand out” and every time they change, twitch, add, remove, suggest, innovate, reshape, resize and redraw their approach to advertising. I hope it gives you some help understanding why you should target your audience, do your proper research and spend smart. Do remember that you think your product is the best – but that might not be the case for your customers. We all spoiled with choice and can easily switch supplier or provider. It is hassle free and costs nothing. Care for your customers, cater for their needs, listen to them. Follow up on their requests and don’t fall for scam offers.